My fourth visit to Populus was an immense treat. 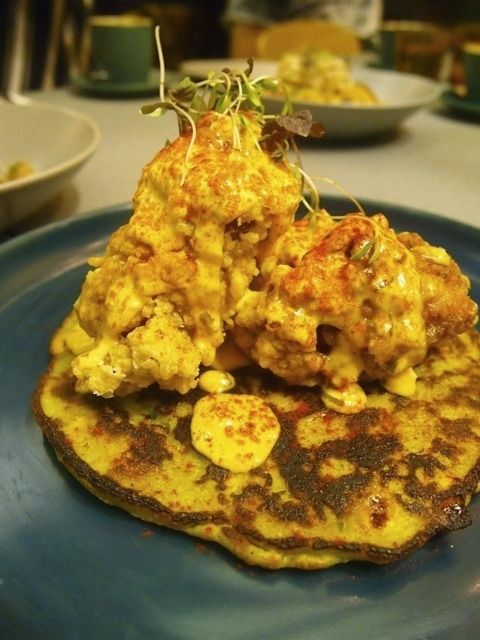 I have been raving about their Spring Onion Pancake and Fried Chicken since my first trip there and I was so happy that we were gonna have it that evening too! Populus has been around for just about six months but everytime I'm there, they're always packed. That says alot about them, doesn't it? I had expected the place to be quieter during dinner time but I was wrong. Populus is truly, popular. What I l really like about Populus is that the food here is not conventional cafe fare. They are healthier options but Chef Andrew certainly doesn't compromise on taste. The food here is creative, with an element of surprise with the incorporation of unique ingredients and flavours. 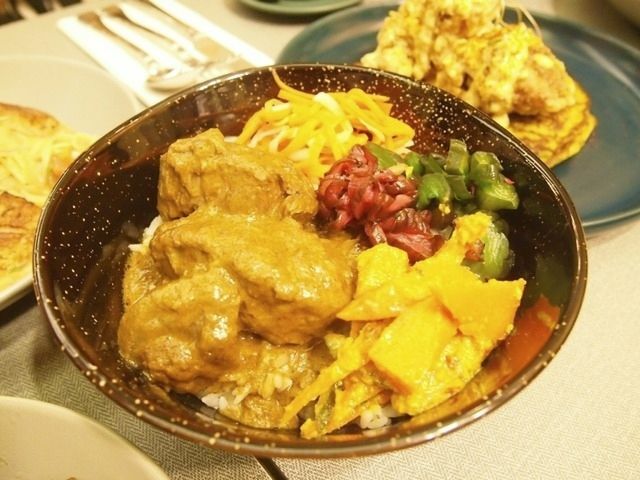 The beef rendang is made lovingly by Chef Andrew's mummy and very limited portions are available everyday to be made into the Rendang Donburi. A bed of Japanese rice serves as a platform for incredibly tender beef, Peranakan achar, daikon, and carrot and zuke pickles to shine. 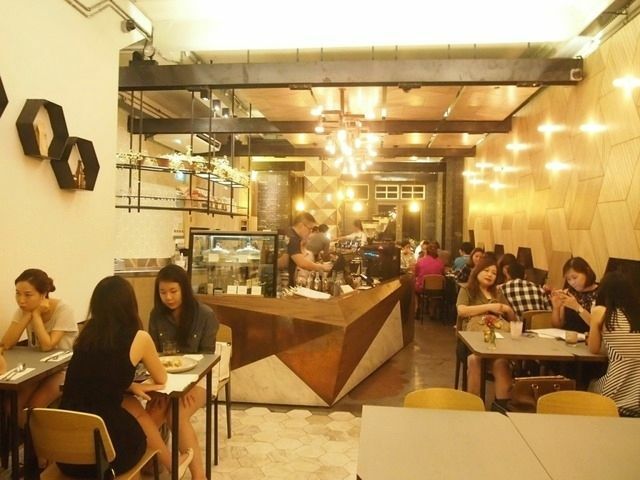 Notice the clever put together of Japanese tastes and Peranakan flavours? I particularly enjoyed the beef rendang and I'll really recommend that you head down for a bowl of this goodness before it drops out of the menu! 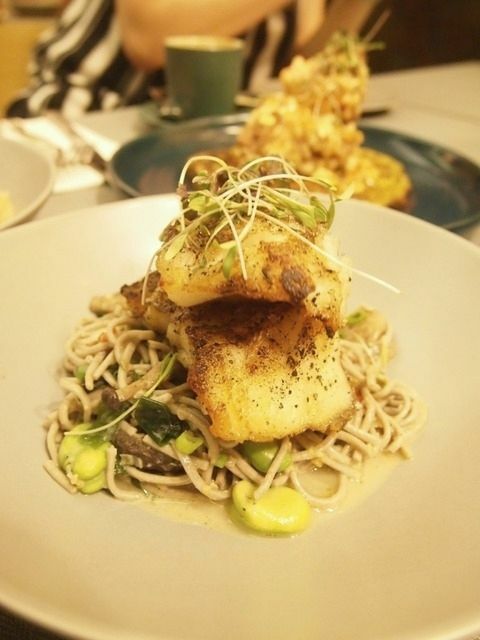 While soba noodles aren't usually my thing, I quite enjoyed the zesty roasted cod and cold soba noodles. It was light and refreshing and this will definitely score with soba-lovers. While this plate of pasta isn't perfect, it is pretty damn good. The linguine was an inpeccable al dente and sat in a sea of seafood bisque. The seafood bisque held promises of intense flavours but were on the lighter side. 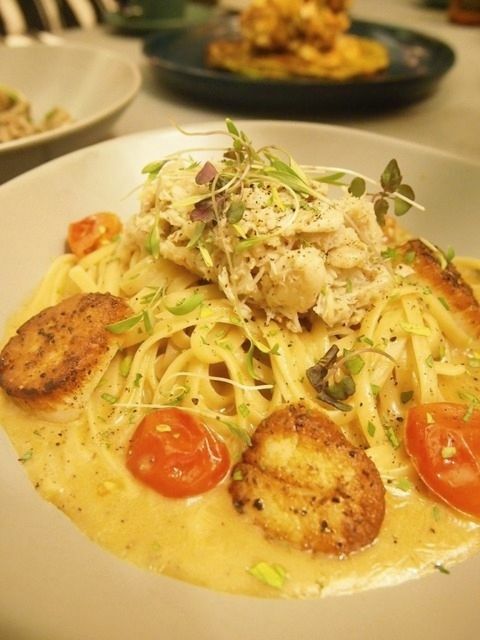 A generous dollop of crab meat crowns the peak of linguine and seared scallops are in on the party as well. While it was largely palatable, I felt that the bisque could use a little work. 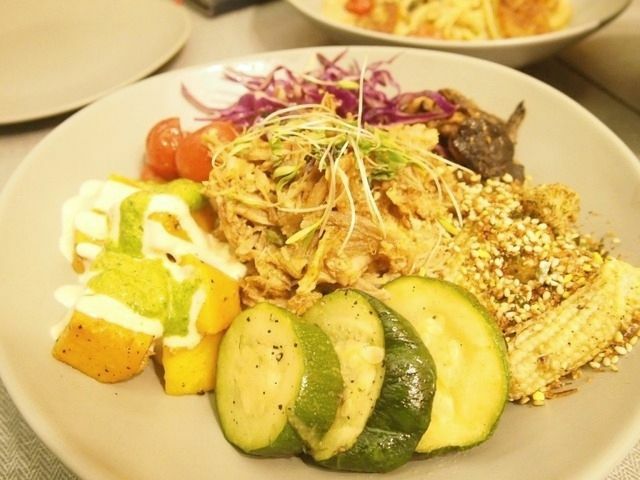 All Grain Bowls are a combination of three grains, quinoa, Bulgar wheat and pearl barley, served with furikake baby corn, red cabbage, apple slaw, chargrilled zucchini, roasted butternut squash, sautéed cherry tomatoes, and mixed mushrooms. So expect a healthy and filling bowl comprising a myriad of textures. Roast Chicken and Wagyu Beef versions are available too. The highlight of my evening is once again, the brilliant spring onion pancake studded with corn. The pancake is soft, fragrant and packs a crunch. On it lies a fried chicken thigh fillet executed to perfection, with a mesmerizing crisp and pristine succulence. A blanket of house special ranch dressing is just what was needed to complete the harmonious marriage of the pancake and chicken. Pure, unadulterated goodness. You can't leave this place without trying this! The Buckwheat Pancake is a gluten-free dessert dish that serves as a main too. The pancake is thick but wonderfully soft and fluffy. 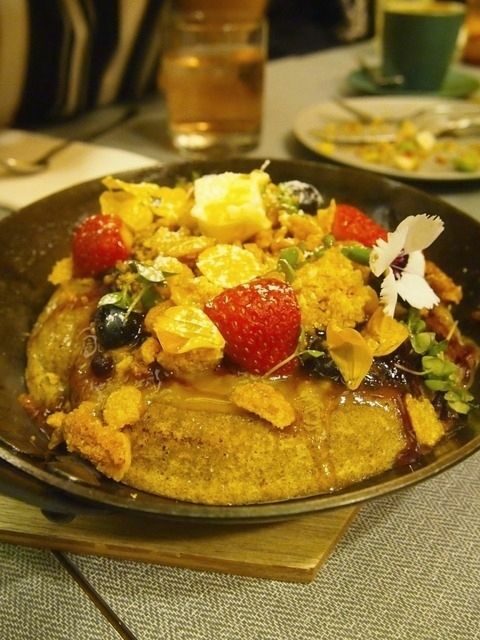 Boasting a little crisp top layer, the pancake comes together in a sweet symphony with the berry compote, passionfruit curd, cornflake crumbs and showers of thyme-infused maple syrup. Even though I was really stuffed, I just couldn't stop myself from stuffing more pancake into my mouth. One of the better pancakes out there for sure! 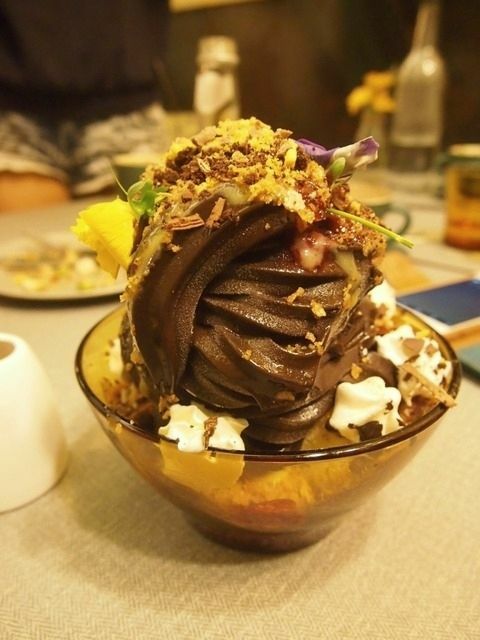 An outstandingly rich chocolate icecream is complemented by passionfruit curd, raspberry puree, hazelnut crumb, honeycomb, chocolate crumb and whipped cream. It isn't just a pretty mix, it's very yummy too! The icecream is amazing because it doesn't really melt, due to the crazy high cocoa content. You're getting the real deal and possibly the longest standing sundae ever. Populus takes pride in their coffee, brewed from beans from the owners' specialty coffee roastery, 2degrees North Coffee Co. The coffee here is robust with an acidic note. The new bottled White Brew Coffee ($7.50) is super smooth and creamy and won my heart instantly. Go for the Mork Cold Chocolate ($7.50) or the Fentimans Wild English Elderflower ($6) if you're looking for non-caffeinated options. They also carry a range of craft beers and wines should you be craving a kick of alcohol instead. 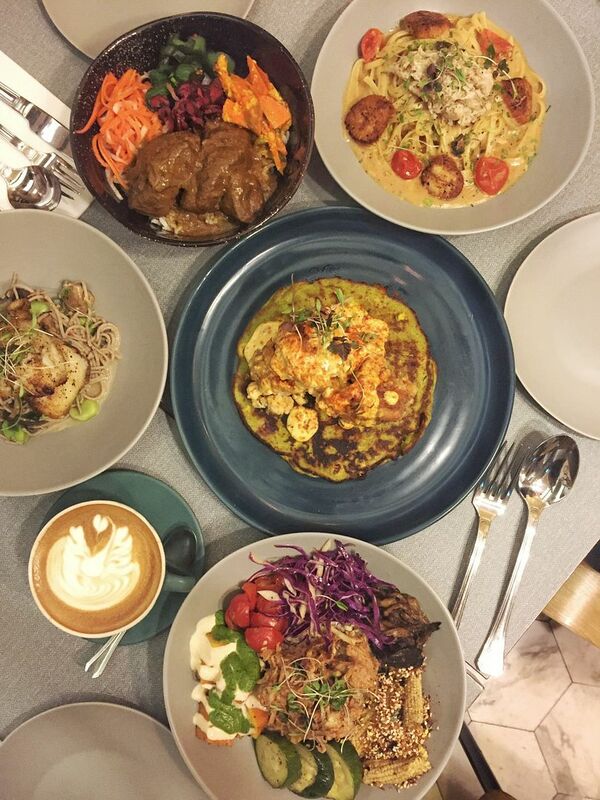 Populus has proven to be a gastro-cafe not just good for lunch or brunch but a great destination for dinner too. I'll be back again for sure!